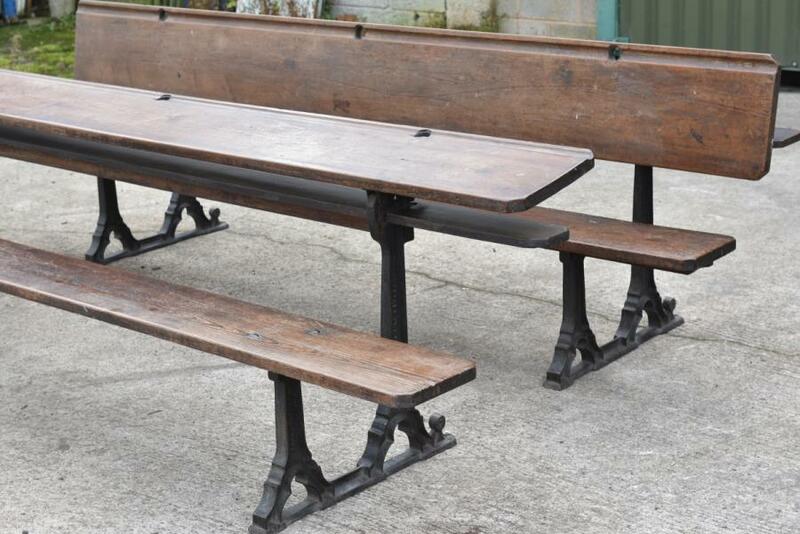 A pair of Victorian gothic cast iron and pitch pine bench tables from a Methodist church in Yorkshire. 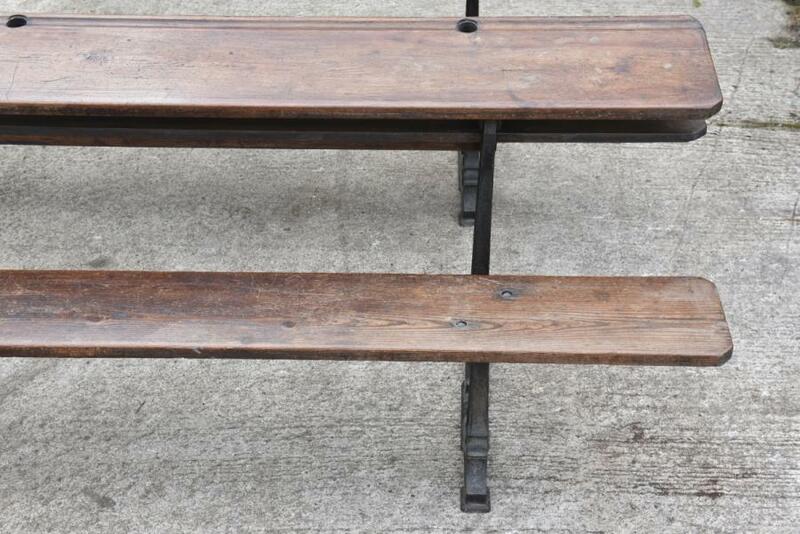 They were originally used as pews and school tables. 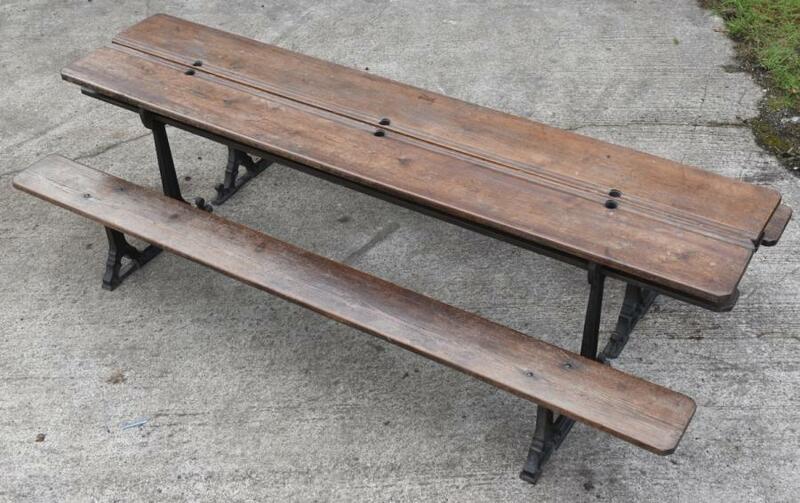 The back rest can be repositioned to form a writing slope or a table.Positioned together they can form a long table with bench seating either side (it would be possible to add a plank in the middle to form a deeper table) Over nine feet long and very sturdy.Very adaptable and useable multi function furniture from the 19th century. 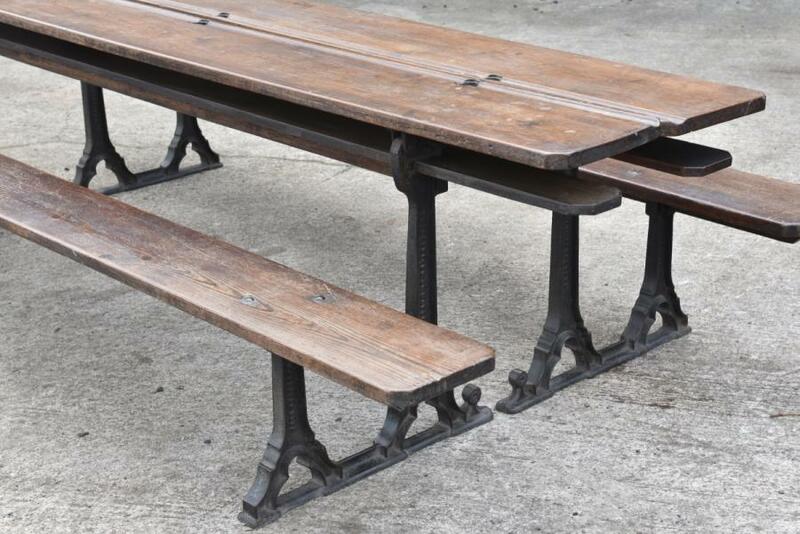 Moulded into the cast iron legs are the makers name; "Sidebotham & Co Patentees" Also; "National Desk" and "Blackfriars St. Manchester" Dimensions in inches/cms; 112.25/285 overall length Bench seats are 9.75/24.5 deep x1.25/30mm thick. Seat heights are 17/43 The table top (the two combined) is 25/60 deep. The table height is 29.75/75.5 high The overall width (the two bench tables combined) is 54.5/138.5 Please see blog ( via News tab on Haes website ) for larger/more pictures.